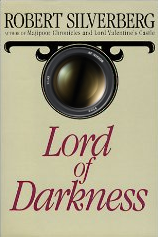 A week ago NR reported about NASA buying new Nikon D3s cameras (aka "The Lord of Darkness") and some lenses (Nikkor 14-24mm f/2.8G ED). "The D3S digital SLR cameras and AF-S NIKKOR 14-24mm f/2.8G ED lenses ordered by NASA will be carried on the Space Shuttle and used to photograph activities at the International Space Station (ISS) in the future. No special modifications will be made to these products. They will be the same products available to end-users, confirming the incredible versatility of the D3S. This equipment will be used along with the Nikon D2XS digital SLR cameras, NIKKOR lenses, and Nikon Speedlights already in use at the International Space Station." The love affair between NASA and Nikon goes back to the early 70's. Since you had shown some recent interest in how NASA has used Nikons on board the International Space Station and had a question about the housing they use for spacewalks (EVA's) in yesterdays rumor discussion, I thought I'd follow up with a few things you might enjoy. 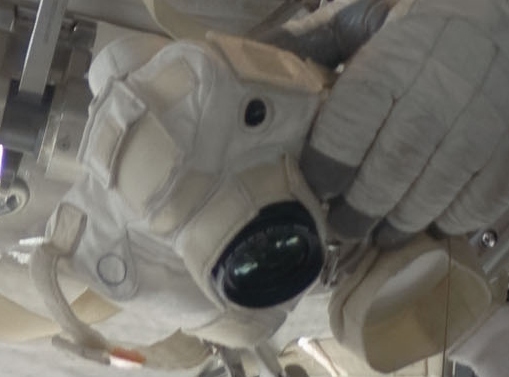 You can see such a D2XS here naked and labeled "EVA camera" with velcro on it for attaching insulation. It's got an AF-I 400mm F/2.8 and a TC-20 mounted on it. This 800mm combo is used to photograph the space shuttle as it approaches to dock, so engineers on the ground can examine it for launch damage. Lastly, here's a mouthwatering collection of Nikons velcroed to the walls of the ISS while not in use. I count 6 bodies, 3 flashes, and 14 lenses! The Exif data says one more D2Xs, flash, and lens were used to take the picture. 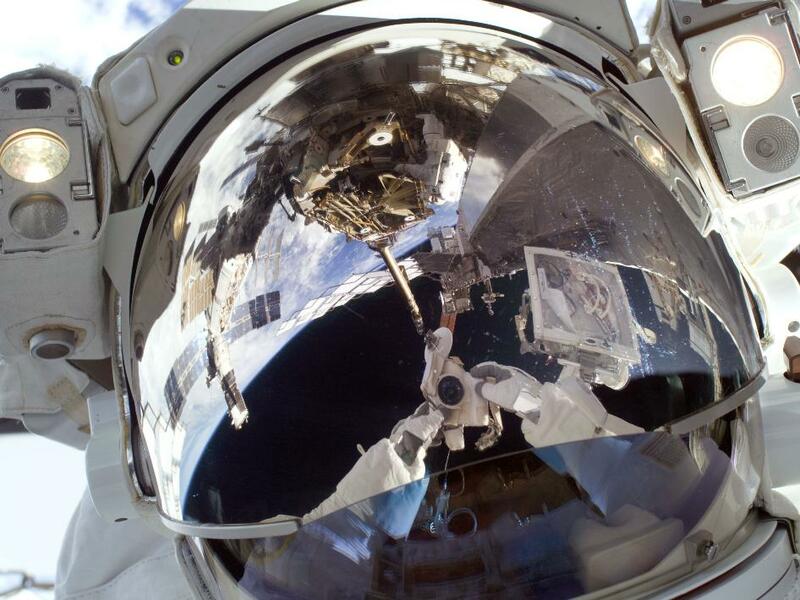 If you feel like browsing around more, NASA has thousands of photos online. The images above were from Expedition 20. • 1980: The “Small Camera”, based on the Nikon F3 and equipped with a motor drive, and the F3 "Big Camera", which utilized long film, were delivered to NASA. The “Small Camera” was used aboard the Space Shuttle Columbia launched the following year. This entry was posted in Nikon D3s and tagged Lord of Darkness, Nikon & NASA. Bookmark the permalink. Trackbacks are closed, but you can post a comment.